Which topic would you most like to hear about? 30 people voted in this poll. This poll is closed to further voting. 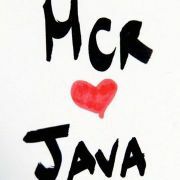 The Manchester Java Community is a group for Java professionals interested in gathering and sharing knowledge in the industry. It's open to beginners to experts, developers to managers, geek to professionals. Membership is restricted to Java developers (or those hoping to train in Java). Membership will not be granted to those involved in the recruitment industry. Meetings are to be held monthly in the Manchester, UK, area and are free to attend.